On Sky News, Dermot Murnaghan sits down with Jimmy Wales, co-founder of Wikipedia, to discuss the media, old and new. 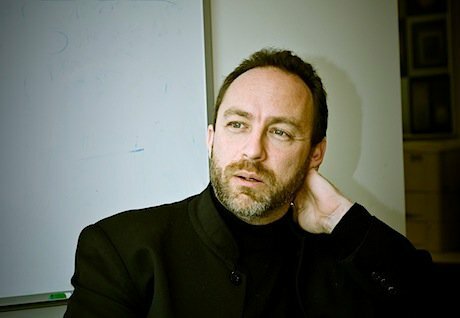 Wikipedia co-founder Jimmy Wales. Wikimedia Commons/William Brawley. DERMOT MURNAGHAN: Now the Leveson report into the press was almost 2000 pages long no less but Lord Justice Leveson devoted just one page to the internet and in it he described the internet as an ethical vacuum beyond regulation. So is that true and if so, is it a bad thing? Let’s say a very good morning to Jimmy Wales, the founder of Wikipedia, very good to see you. Let me put that to you from the Leveson Report first of all, I mean not concerning your industry really at all, as I say just one page devoted to it but how do you take that, an ethical vacuum? Do you think that’s just a high court judge speaking? JIMMY WALES: Well I think it’s a complicated matter to be sure but I think that is really quite an overstatement. Everyone who is on the internet is located somewhere in some jurisdiction and is not beyond the reach of law and I also think that by failing to really appreciate the context in which media operates today, where all media is global and it’s not just, well people say things on Twitter and it’s a great problem and it’s not clear what we’re going to do about that, but also to understand that if you are going to regulate the press in the UK you have to understand that people here now don’t just read the usual spread of newspapers here, they read the New York Times and the Washington Post and newspapers from all around the world so therefore it becomes quite tricky. DM: The kind of melding of old and new media. DM: It’s interesting the way Leveson leads us directly to Wikipedia because also within the Leveson Report he talks about the founding of the Independent newspaper in this country back in the 80s – you’ll know about this story won’t you because it’s been much talked about, he talks about one of the founders of the Independent as being Brett Straub, so somebody got on the Wikipedia page and it has been picked up by the Leveson Report as the truth. Quite humorous but also it says something, it is one of the criticisms of Wikipedia. JW: Sure, I mean for us it was quite painful. We don’t like having errors and on the one hand it’s a bit amusing for him to call the internet an ethical vacuum when someone is clearly cutting and pasting without checking the facts but at the same time that kind of thing is, you know, it’s embarrassing for us and we hate to have that kind of error. DM: But it’s down to this issue, and it goes for a lot of ISPs and others, how much do you police the content? Is it the wild west out there? JW: In the case of Wikipedia it certainly is not the wild west. We make errors like all reference works do and we have a particular brand of error that we make because of our open process but our community is quite vigilant and quite passionate about trying to get to right and trying to make sure we are doing the right thing so we have very strict rules. One of the interesting things in relation to the media in the UK was if you remember the super-injunctions and when stories were beginning to come out about this footballer and that one and they were being leaked on Twitter, we didn’t have it in Wikipedia for quite a long time until it finally began to be reported in mainstream newspapers around the world. DM: But how is that policed? How many people do you have within the organisation doing that and how much is it self-regulated by people just monitoring it for you? JW: It is 100% people in the community, it’s not just random people, it is experienced community members but they are all volunteers who are monitoring the site constantly. The staff of the Foundation is a very small staff of people in San Francisco mainly and they are not really tasked with monitoring everything that goes on the site, they couldn’t possibly do that. DM: No, but as I mentioned there, you are one of the titans, Wikipedia is one of the titans of the internet age, getting a bit long in the tooth now but your model is so very different. You’ve talked about it already and it is much discussed on all these big internet site is why you have never monetised it, so to speak. DM: Well I was just going to ask you, you are appealing, if anyone goes on to Wikipedia now every page that comes up says more or less would you like to make a donation, do you appreciate what you read here and would you like to make a donation. Why don’t you have a little banner advertisement from multinational and take all that money? JW: Sure, well for us it is almost as much as an aesthetic matter as anything else. I like Wikipedia as a non-commercial space, I would say it is like a temple of the mind, it’s a place to go to think and learn and reflect, it’s not a place for commerce. I’m not against commerce mind you but I think we need some spaces that don’t involve advertising. DM: Well those that are, and I mentioned you as one of the titans of the internet age, much discussed in this country and others, you’re mentioned in the same breath as Amazon, Google and so many others and they’re of course commercial. The issue is about how much tax they are paying and clearly it is not an issue for Wikipedia but what do you think as you look at some of those, I was going to call them rivals, but some of those other titans? JW: Yes, well I think the first thing that I would say is I think it is a public policy, the issue. I think the law needs to be changed because it’s not fair that companies are able to … If you are competing against a domestic UK chain and you’re paying no tax and they are paying a lot of tax, it’s just not fair competition. That needs to be fixed but having said that, I think it’s a mistake to beat up the companies as being somehow immoral or wrong. As long as they are following the law and as far as I understand they are not even pushing the boundaries of the edges of the law, they are just following the law. Well if you set up a law that way – I tell people who are very angry at Starbucks, Amazon, Google, how much tax did you volunteer to send in extra that you weren’t required to pay? The answer is of course, zero. Of course we are going to expect companies to arrange their affairs accordingly. DM: So what you are saying is that is perfectly legal, and of course it is, but as long as the … if the law isn’t changed, keep doing that. But there seems to be, certainly in Starbuck’s case in this country, it was the moral side of things, the fact that many of their customers were saying we think you should pay a bit more. JW: Yes, absolutely. I am saying absolutely, I agree they should pay a bit more but I think we need to change the law. We shouldn’t set society up in such a way that businesses are forced to voluntarily donate after mass public pressure, it’s just not the right way to do things. Of course, consumers do care about it. If you feel that, hey … I think people don’t mind commerce, they don’t mind capitalism, they just want a fair playing field and if you are successful, then good for you. DM: Okay, and back to Wikipedia and that appeal and the money, how is it going and what would happen do you feel, what would change about Wikipedia if you did take the odd small advertisement? There are parts I know of the operation that are commercial as well. JW: Well no, not really. I have a completely separate company, Wikia, but well, it is going very well and in fact if you go now and you see the banner, you should click on it and donate immediately because that’s the last time you’re going to see it. It’s set up now so that everybody sees the banner only once because it’s been so successful so far that we’re actually already, it’s not the end of the year yet and normally we run through the end of the year, we’re already scaling back a little bit because it’s been so successful so far. If we took advertising I think there is a lot of things that it would do to us. One of the things that I always focus on is what does it do to the internal DNA of the organisation? Right now we care as much about our next million dealers, next million visitors who come from Africa or from India and if we were monetising based on advertising it changes the DNA of the company, that you begin to say actually we need more US unique visitors because that’s where the ad revenue comes from, that’s the strongest ad market, and I think that would be unfortunate, it would really begin to change the organisation’s mission. Even if we tried really hard not to, it’s just natural, organisations do tend to follow the money. DM: How closely involved are you with it now? Are you hands on managing it still? JW: We have a CEO, Sue Gardner, who is doing a fabulous job. I’m a board member, I’m very active in the community so I’m on Wikipedia every day. Yes, I’m still full time I would say. DM: You log on every day do you to get your source of information? JW: Yes, I do, yes. DM: We were discussing the law on taxes and another very, very important aspect of the law when it comes to the internet and Wikipedia is this issue of copyright. You talk about cutting and pasting of things from Wikipedia, a lot of people have put a lot of money and effort perhaps into gaining that information will say, hold on a minute, if you want to use this then you should pay me for it. DM: It’s a fine line though isn’t it because a lot of people in so called old media, we’ve gone round full circle here, say well we’ve got physical buildings, we have people here who go out and get these stories for us, we try and sell them in newspapers with advertising as well and therefore if it is just there for free, that jeopardises our ability to carry out that kind of journalism in the future. JW: I think it is a concern, what is the business model of newspapers going forward, but I think we should avoid clumsy attempts to stop people from … it doesn’t make any sense, a lot of things that are proposed don’t make sense. I am very excited about the apps model, the ability for people now who finally have an ability just on a whim to click and buy something that costs £2. In the past if a newspaper tried to charge you £2 for something, you had to get out your credit card and it was a hassle but people do now impulse purchase things and I think there is a huge revenue that is available and newspapers are just beginning to realise. DM: You sound to me like you are not making that distinction in effect between old dinosaurs, they’re going to die out and new media is going to take over, there is some symbiotic relationship that can be developed on both sides, because of that journalistic resource that exists in the old media? JW: I’m not one of these people who assumes that traditional old fashioned journalism is going to go away in favour of citizen journalism, I don't think that works. I haven’t seen any movement in that direction really. We have a lot of people chattering on Twitter, a lot of great opinions on blogs and so on but for the grunt work, the day to day work of journalism, going out and getting the story, I think you’ve got to have paid professionals doing that otherwise it is just not going to happen. DM: You mentioned Twitter and other sites as well where people say this really is unregulated, things are said there that can’t possibly be police but that would never be allowed to be printed in newspapers or broadcast on television, do you think that can every change or have we just got to lie back and take it? JW: I think in general it’s a new world and we have to come to grips with that. I think it’s a very exciting thing. You can look at it in a negative way and say it’s actually horrible now that anyone in the world now has a voice, well no, that isn’t horrible, it is actually one of the most amazing things to happen in human history. In terms of the specific problems, if we are talking about abuse and libel or things like that, I think there are some areas that could be cleaned up here and there to have a better system. One of the things is to sue someone for libel for ordinary people is just extraordinarily expensive and it probably shouldn’t be, we need lower cost dispute resolution mechanisms, arbitration and that sort of thing, in the law to recognise that in the past for someone to libel me they must have been a newspaper or something like that but now it can just be some random person in Indonesia or what have you. DM: Well, Mr Wales, thank you very much indeed, it is a pleasure to meet you. Jimmy Wales there from Wikipedia. This interview was aired on Murnaghan on Sky News on 9 December 2012.